development, and water treatment plays a huge role in that. 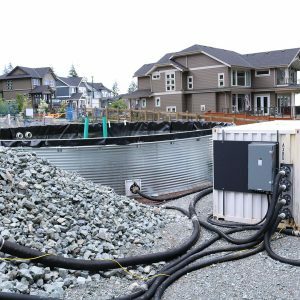 The system was designed over months of research and testing, and can be disassembled and reinstalled on future development sites. With this new system, Wesbild is confident our water treatment has thoroughly improved, and we look forward to its continued use at Burke Mountain.